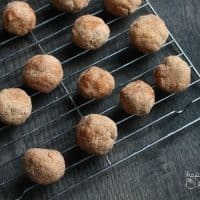 Snickerdoodles are an all-time favorite, but instead of going full force with the sweets, how about a lightened-up version that will rock your socks?! Cookies. For real, I’m a total cookie monster. I don’t know what it is, but if there’s a batch of cookies anywhere in the house (whether they’re homemade or store-bought), I just can’t seem to get them off of my mind. Anyone ever buy a package of Oreos, telling yourself and the whole family that you bought them for the kids and that you’re not going to touch them at all? And then before you know it, (usually at night after the kids are asleep), you find yourself sitting in front of the tv with a stack of those addicting sandwich cookies. Seriously. They are just too good! But here’s the thing. Over time, I’ve started to get really skeptical about any food that isn’t made in my own kitchen. I know that sounds extreme, but it’s true. I don’t trust things that come in cans or vacuum-packed packaging. I’ve been making my own granola, pancake mix, muffins, cakes, sauces, (and the list goes on) because I know exactly what goes into each and every one of those things. I see the measurements. I see the ingredients. 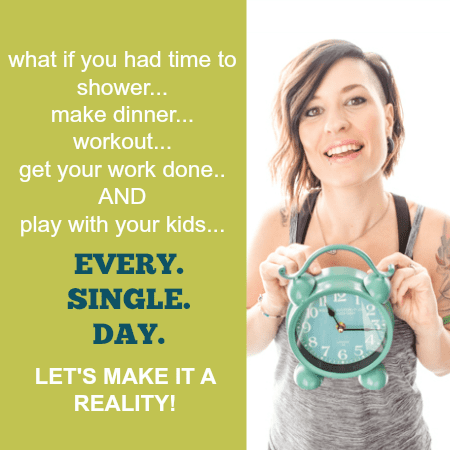 I get to make those choices for myself and my family. And as a result, I get to taste the freshness. I get to feel better about myself because of the fresh food I’m eating, even if it is cookies. I know they’re cookies that are made with whole grains, very very little sugar, and healthy fats. I can’t argue with that! And these snickerdoodles. I was freakin nervous about them. When I saw that the dough was crumbly, I thought they would just fall apart and not come together to form a ball. And then when I saw that they didn’t change shape after baking, I accepted the fact that these were another kitchen fail. I took a bite. aaaaahhhhhhhhhh! The cinnamon sugar on the outside. The nutty flavor with a teeny tiny hint of coconut on the inside. And just a little bit of crumb instead of them falling apart as soon as I bit into them. Oh my goodness, these are amazing. I am so ridiculously proud of these cookies and can’t wait to make them over and over again. 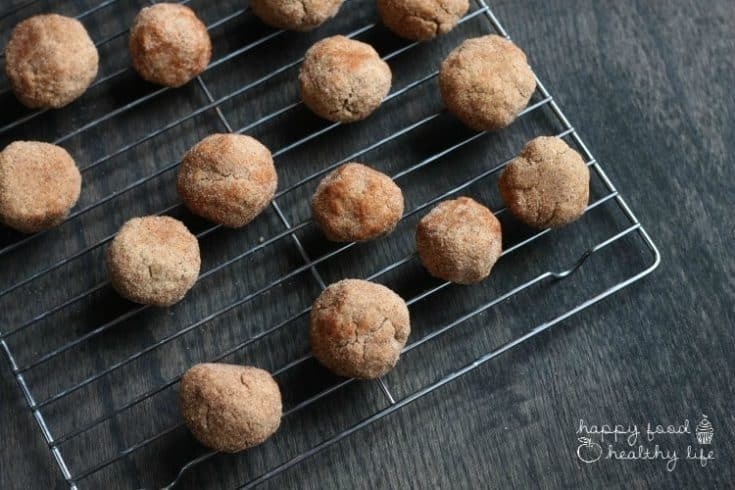 They’re the perfect little treat, and with the whole wheat flour and denseness of these cookies, you really only need 1 or 2 to feel satisfied and you’re good to go! In a second small bowl, stir together the flax seeds and water. In a medium bowl, stir together the flour, baking powder, and salt. Add maple syrup, coconut butter, and flax seed mixture to the flour and stir until well blended. At this point, your dough may seem very crumbly and unlike a normal cookie dough. That is perfectly fine. 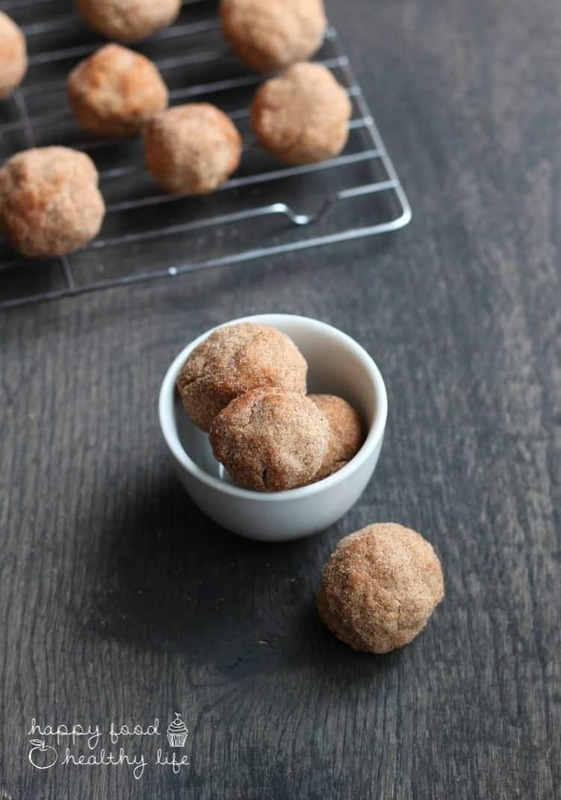 Shape dough tightly into 1 1/2 inch balls, roll into the cinnamon-sugar mixture, and place on a cookie sheet. Please take note that the way you put these cookies into the oven are the way they will come out. They don't spread at all, so if you'd rather shape them into disc shapes, that is fine as well. Bake for 8-10 minutes. Remove from oven and let sit for 2-4 minutes before removing to place on a cooling rack. 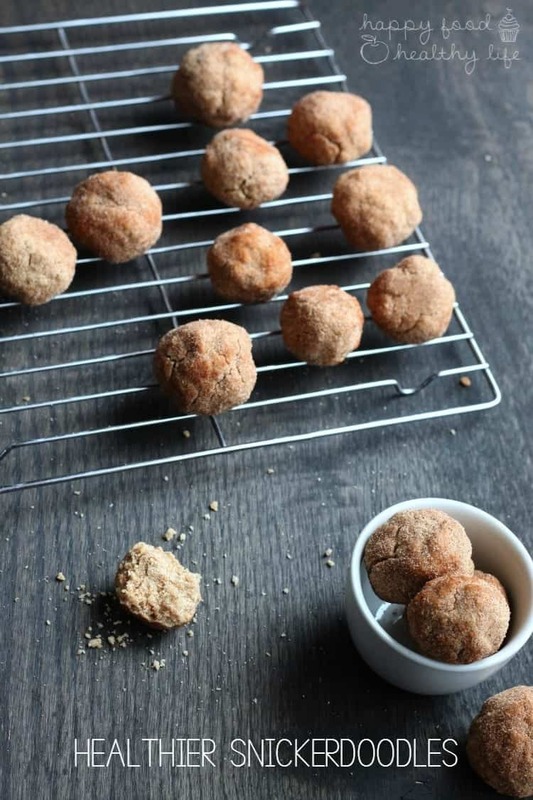 Looking for more healthy cookies?